With a rotten world football organisation (for some, it is soccer) still breathing, it falls upon spectators and participants in the game to reflect on the players that count. They, rather than FIFA, do the heavy lifting – or in this case, kicking – that matters. 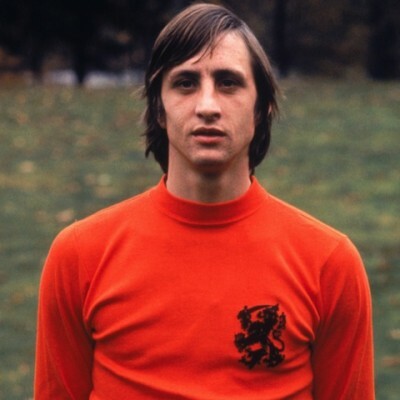 When footballing administrators were attempting to curb back bad boy images and trim happy-go-lucky exuberance, Cruyff stood out. He became the first Dutch player to earn a red card in play – during his second international match in 1966 against Czechoslovakia. The Oranje captain, as he subsequently became, made amends by transforming his side into a footballing wonder of spell binding dribblers which led to the 1974 World Cup final in West Germany. Unfortunately for him, and his team, the West German outfit, clinical and resilient, prevailed. At Ajax, he faced threats from the Dutch club’s boardroom to limit his playing time. There was much gossip that his spare frame would not be up to the task. He was also happy to delve into such wicked pleasures as smoking in full public view, an 80 a day one which he indulged throughout his playing career. It took head coach Rinus Michels to see the potential of the gifted athlete in the 1960s to make him a regular, though his arrogance did have the habit of putting noses out of joint. Wither those noses and bruised egos – his talent won him three consecutive European Cups with Ajax from 1971, and near glory at the World Cup. It also won him a slew of domestic trophies and titles. Such performances earned Cruyff the world player of the year award on three occasions. His foremost claim to fame was a creation that the football world refuses to forget, or abandon: Total Football. Many Dutch players preferred to dismiss the term as a media appellation, one only descriptive of the natural force of simple, stunning yet logical play. What characterised it was an interchangeable function of the players, involving the entire team in full assault – the team as an overcoming, and ultimately all-conquering rash. The roots of such experimentation could be found back at Ajax, where coaches tended to make juniors play out of their usual positions. A period of global defensive football drudgery was dramatically overturned by the Dutch team of the 1970s. Hard-nosed defenders more familiar with tripping their opponents in the name of conservative play were caught off guard. Adding to this such manifestations as Cruyff’s own mercurial genius as “the turn”, a move he pioneered against Jan Olsson of Sweden in the 23rd minute of a 1974 World Cup group match, and a singular form was popularised. Between 1970 and 1974, the Netherlands only lost one of its 29 matches – the final against West Germany. His evolution from player to coach was a logical one. The brilliant journeyman, having played in Europe and the United States, proceeded to turn his talents to making Ajax the repository of Total Football. It was a nursery that produced a host of footballing geniuses, transforming not only Dutch football, but the Spanish game, where FC Barcelona played host to Cruyff’s talents. It proved to be a modern variant of seventeenth century Dutch mercantilism, transformative and aggressive – on the football pitch. One of Cruyff’s remarks on himself went to the issue of immortality. For one who did not believe in God, he still entertained the notion that he might be “probably immortal”. His body told him otherwise, but in one vital sense, he was right. The “Total Football” pioneer is dead, but the global murmurings of his system remain, studding forms of play and spawning new variants.